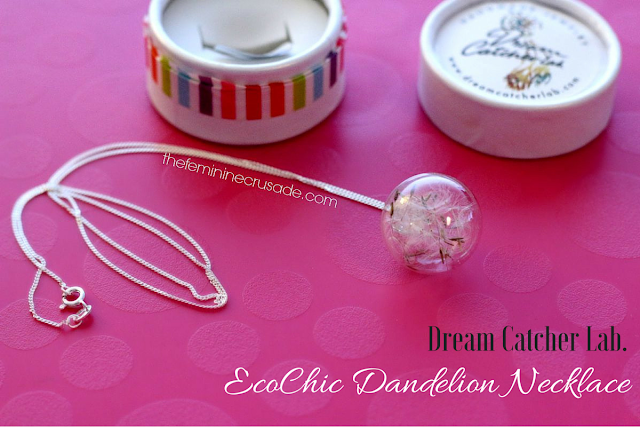 It is a pure delight to be to try this beautiful dandelion necklace by DreamCatcherLab. Who cannot love real pieces of nature? Ana makes her distinctive jewelry items by preserving pieces of nature like feathers, leaves, flowers, silk etc in them. The necklace I received is hand-filled with dandelion seeds in a hand-blown hollow glass bead. The real dandelion seeds make everything so much more exquisite. The necklace came in a cute li'l jewelry box all the way from Spain. DreamCatcherLab does ship worldwide. 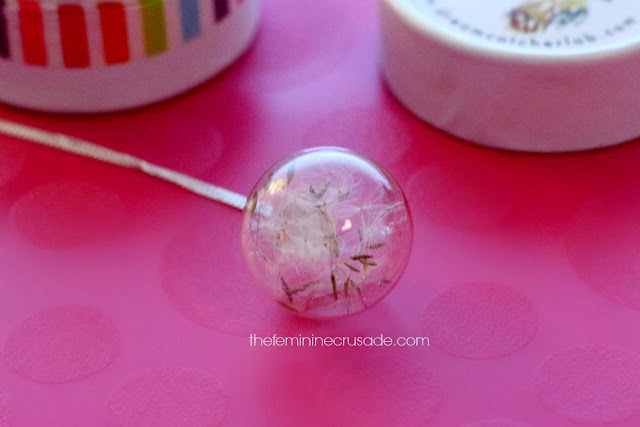 The dandelion bead is secured with a 925 sterling silver chain and looks so dainty and unique when worn. I am so wowed with the beauty of the dandelion peeking through the glass bead. It looks so ethereal. If you don't already know, Dream Catchers are one of the most interesting traditions of Native Americans. The dream catcher is made with a willow hoop which is decorated and woven with beads, and feathers. Then the dream catcher is hung over the bed and it is believed that it helps ward off negative dreams. 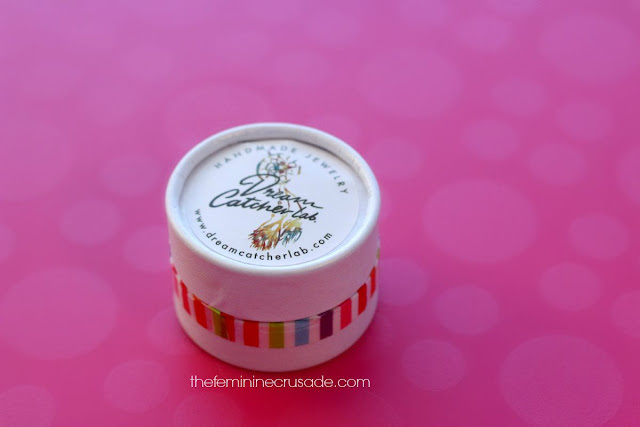 On DreamCatcherLab you can find all kinds of jewelry filled with exquisite pieces of nature. Go peek into their collection on their website or stay connected via Facebook.